The bride starts her walk down the aisle, and everyone turns to stare. Where is she looking? Right at him. When the bride comes down the aisle, everyone seems to focus on her, but she is only looking at one person, her husband to be. I don’t remember a single thing about coming down the aisle but Brian’s face, looking right at me with a huge, warm smile. My eyes were only on him, as if he was the only person in the world. Yes, we women love the details, but so do our men! 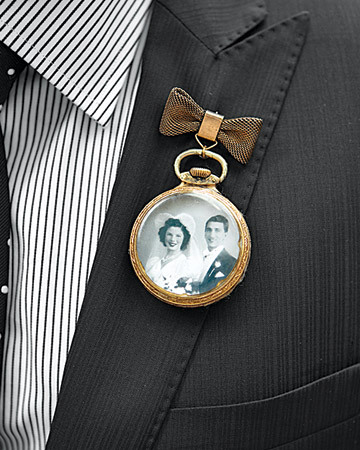 Incorporate your Grooms personality in his wedding day attire! Your focus will be on him, so why not give yourself some fun details to look at?! Detail shots for the Groom are becoming just as important as the Bride! Yes, your photographer can shoot your earrings, your shoes and your veil, but you’ll also want to capture those fun details that make your Grooms attire his own! 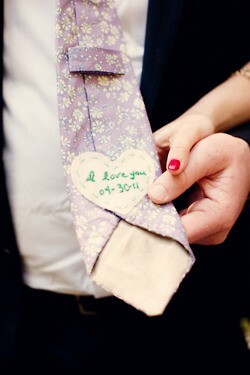 All over pinterest is fun inspiration for mens wedding day details. Take a look at some of my favorites! 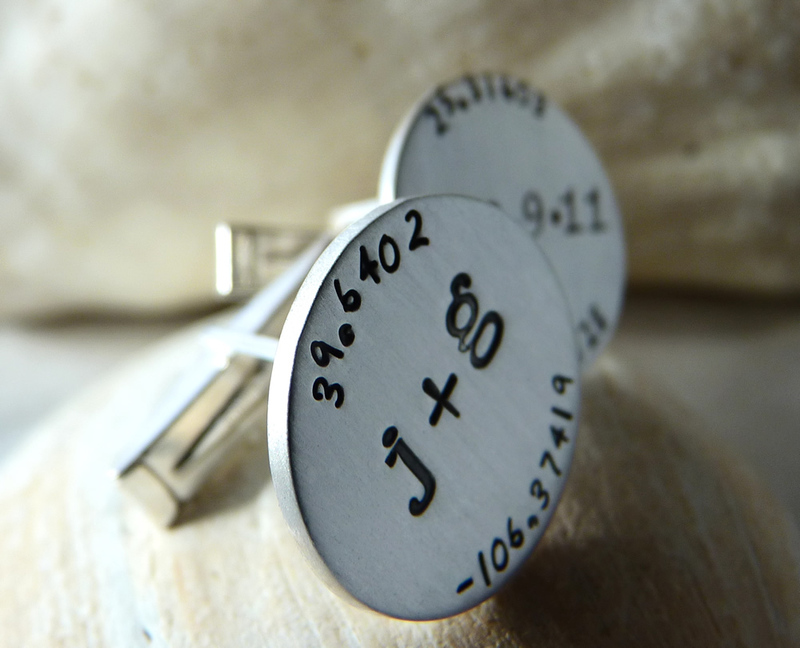 Your initials and your wedding date, and he can keep them forever! 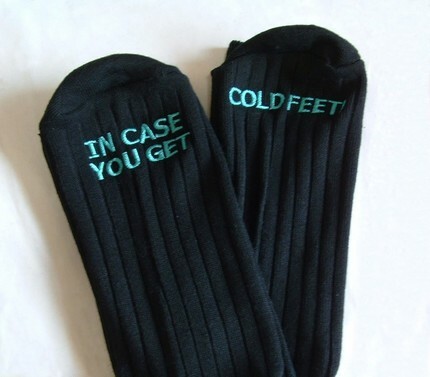 Maybe he’ll wear them to that fancy dinner on your anniversary! How cute is this idea? You are his and he is proud! 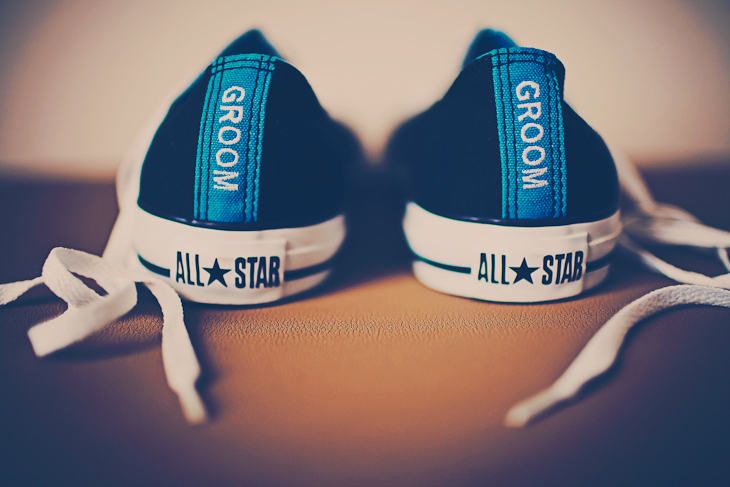 Love this Groom label! These converse are his alone! Previous Post 3/24/2012: kelly and dave’s wedding day! Next Post one year down…. Awesome! Everyone always seems to forget about the groom and only focus on “the bride’s big day.” Great ideas for helping him feel special too!